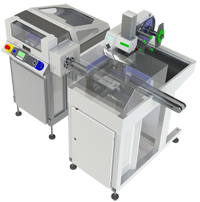 Nautilus Systems, Inc. has developed highly modular and extremely flexible systems specifically for application and wrapping of labels onto Tubes, Vials, Cups, Syringes, and other cylindrical labware in compact packages that are perfectly suited to the lab automation market. For more information about the TUBE AND VIAL LABELING AUTOMATION CLICK HERE. 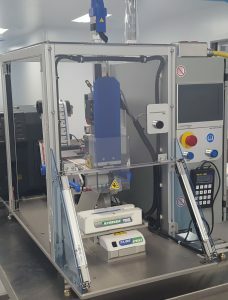 Nautilus Systems, Inc. has developed highly modular and extremely flexible systems specifically for application of labels onto Microwell Plates in compact packages that are perfectly suited to the lab automation market. 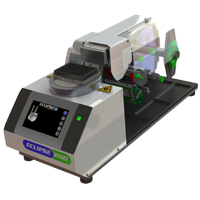 For more information about PLATE LABELING AUTOMATION CLICK HERE.